Funded by the National Institutes of Health (NIH), the study found that 5.7 million Americans will have mild cognitive impairment and another 9.3 million will develop dementia by 2060. Of the latter group, about 4 million Americans will require the level of care provided in memory care facilities. “Estimates by disease state and severity are important because the resources needed to care for patients vary so much over the course of the illness,” Ron Brookmeyer, professor of biostatistics at the UCLA Fielding School of Public Health, stated in a UCLA Newsroom report. There are numerous approaches to caring for dementia patients; however, there is no consensus on the most effective treatment. In May 2018, UCLA’s Division of Geriatrics received a $13.6 million award from the Patient-Centered Outcomes Research Institute to compare care given over 18 months to 1,534 participants with dementia in four U.S. cities. 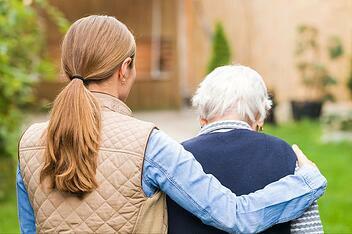 “Whether a care team working within the health system can do a better job than a community-based care manager in coordinating the health and social needs of persons with dementia and their families is a fundamental, unanswered question,” stated Dr. David Reuben, Archstone Professor of Medicine and chief of the UCLA Division of Geriatric, in another UCLA Newsroom report. Many clinical studies test whether a treatment works under ideal conditions in specialized research centers, but health care is rarely delivered in idealized situations and settings, Ruben noted. In this study, researchers will track the behavior of patients and the impact on caregivers as well as assess differences between long-term assisted living and living in their own homes. Patient-Centered Outcomes Research Institute, an independent, non-profit organization authorized by Congress in 2010, funds research that will provide patients, their caregivers and clinicians with information needed to make informed health care decisions. Other medical research being conducted at UCLA focuses how to slow the progress of Alzheimer’s. A study, released in May 2018 and supported by grants from the National Institute on Aging and the UCLA Department of Neurology, could lead to the development of a drug that may slow the diseases’ progression. Researchers at the School of Nursing and the Department of Neurology at the David Geffen School of Medicine at UCLA have found that a small molecule called cambinol blocks the transfer of the toxic protein associated with Alzheimer’s, a finding that could lead to drug therapies to treat dementia. Another study, released in March 2018, has found that boosting the brain’s immune cell function improves Alzheimer’s symptoms in mice. The research will continue with the support of the National Institutes of Health, the David Weill Fund at the Semel Institute, the Leslie Gehry Brenner Award from the Hereditary Disease Foundation, the Tanz Family Fund and the Cure Alzheimer’s Fund. With all this funding, researchers at the university have the means to purchase many new laboratory products that will benefit their research. 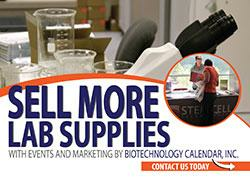 Biotechnology Calendar, Inc. produces the Biotechnology Vendor ShowcaseTM event at UCLA twice a year. This event provides a premiere opportunity to market lab supplies to active life science researchers at the university. This semiannual event brings hundreds of active researchers together with scientific supply companies, so that the researchers can find the best and newest products and technologies available that will further their work. The 42nd Semiannual Biotechnology Vendor ShowcaseTM event in Los Angeles will be held on October 25th, 2018. Last year, the two events at UCLA brought together 1,023 attendees from 46 different research buildings and 80 on-campus departments. Of these attendees, 223 were purchasing agents, professors and post docs, and 144 were lab managers.